"It was a play called Wild Horses, a farce by Ben Travers and very funny. I’ve never seen it since or heard of it, but a wonderful play and one of the actresses in it was a lady that started here, Peggy Mount, and my mother said afterwards - I heard her say to my father - ‘Gordon never moved a muscle and he was totally absorbed’. And that was where my love of theatre started. I said ‘Can I come next week?’ Next week was a psychological thriller called Double Door; Peggy Mount played the lead again in that: you can imagine her in that kind of part, as a domineering lady, and I loved that as well. They didn’t think I’d like that one, they thought it would be too heavy for me, but I adored it, and so they brought me every week and I’ve been coming ever since." Gordon is now Chairman of the Friends Of The Grand. 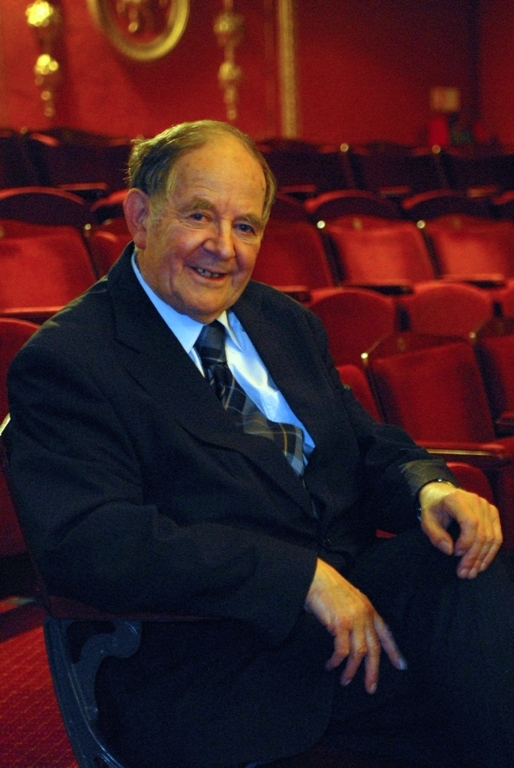 He is pictured here in Dress Circle seats that he has always used, since his first visit to the Grand as a child.